It was a sweet surprise. I was checking out the list of new hit albums for the week when I came across Hangin’ Tough by the New Kids on the Block (NKOTB) which had already entered the Top 20 big sellers. Is this the same old Hangin’ Tough album from the old days? Is this the same group or a new reincarnation of the NKOTB? You know, new young members given the same name and singing the same songs just to keep the act touring and selling. And the NKOTB sold a lot during its time, not just CDs but also jackets, T-shirts, even bed sheets. 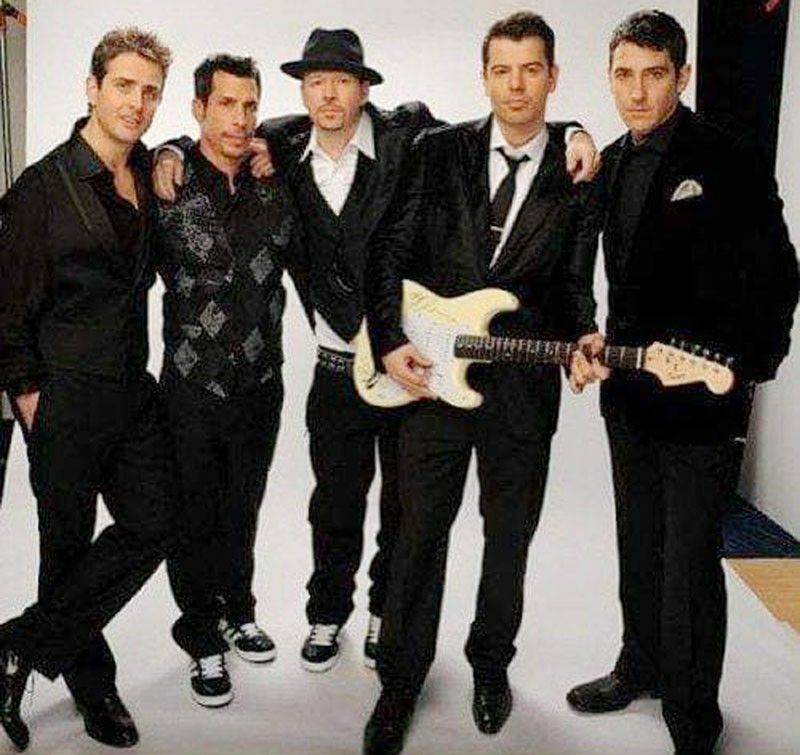 New Kids on the Block comes from Boston, Massachusetts and is one of the biggest boy bands of all time. It is made up of Jordan Knight, Jonathan Knight, Danny Wood, Joey McIntyre and Donnie Wahlberg who became a successful actor. The teen-age group was put together by Maurice Starr in 1984 and rose to massive popularity over the years. It disbanded in 1994 but returned successfully to touring and recording in 2007 and has remained active up to the present. A highlight of the NKOTB’s return was recording and touring with that other big boy band, the Backstreet Boys. And now the boys are back to Hangin’ Tough from 1988. Well, it turns out that it is, indeed, the same old album and it is the same old NKOTB boy band back in the hit lists. But with some differences. The reissue is available not only on CDs and digital formats but also on a two-LP picture disc, which I must say is a must for all diehard Blockheads. More so because this new edition commemorates the No. 1 selling album’s 30th anniversary of release. So, there are all of the well-remembered tracks, which read like a New Kids on the Block greatest hits collection. You Got It (The Right Stuff), Please Don’t Go Girl, I’ll Be Loving You Forever, Cover Girl, I Need You, Hangin’ Tough, I Remember When, What Cha Gonna Do About It, My Favorite Girl and Hold On. There are more. Aside from remixes of some of the early recordings, there are also new songs like the single, 80’s Baby which features ‘80s hitmakers Salt-N-Pepa, Naughty By Nature, Tiffany and Debbie Gibson singing with the NKOTB boys; The Way; and the Boys In The Band (Boy Band Anthem). Now, Boys In The Band is a tribute to boy bands and offers a crash course on boy band history. It comes with a very special video where the New Kids open as geriatric granddads and then turn into boy bands. Set in a high school classroom where Lance Bass of ‘NSYNC is the teacher, it features the NKOTB performing the song as various boy bands like The Osmonds, the New Edition, the Jackson 5, Boyz II Men, Naughty By Nature, Backstreet Boys, Menudo, Bel Biv Devoe, ‘NSYNC, and down to recent times with One Direction, Take That and Westlife. The song has a great beat that gets everybody moving, a rap of boy band names by Mark Wahlberg and a fun-to-watch, informative video. No reason, it cannot be a hit. Boy bands are tricky entities. It seems so easy to put one together. Take a few good-looking teen-age boys who can sing, get them into trendy outfits and teach them how to dance. Check out the number of similar groups with recordings available nowadays, Why Don’t We, New Hope, etc. And all those K-Pop stars like BTS which was created along the boy band formula. But very few make it to enduring stardom where their fans stay with them and they develop new ones. That is why, the ones who do like NKOTB, the Backstreet Boys or One Direction, can milk the fruits of their success for years on end.